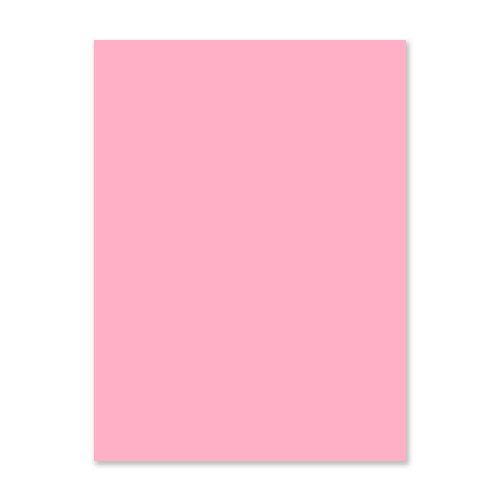 A very good quality 240gsm A4 pink card that has a range of uses for card making, scrapbooking, matting and layering. This pink A4 card is acid and lignin free, which is also produced from a sustainable source. No chlorine is used in it's manufacture. good. Well priced and I would recommend you look at the colours this company do. Would not hesitate in ordering from them again and recommending them. Delivery is good and well packaged. I am going to look at other colours now to add to my collection. Bought this for my university project and it did the job fabulously although I wouldn't use it for birthday invite's at all.